College acceptance letters are in, and so are financial aid awards. Are you worried about paying for your college dreams? Your financial aid offer has some wiggle room if you're willing to negotiate. 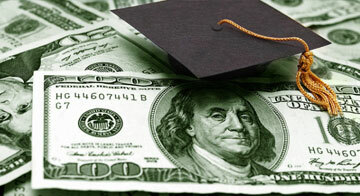 Read this Washington Post article about negotiating a better financial aid package. The FAFSA form doesn't capture many important things that affect a student's ability to pay for college. You can alert your financial aid counselor if there have been any changes in your financial situation, or if there are family expenses that couldn't be included on the FAFSA form. Also, colleges are often willing to compete on price and match offers from competitive colleges. Feel free to present missing information to your financial aid counselor. You might be surprised at how much additional scholarship you're eligible for. Are you going to try to negotiate your financial aid award? We would love to hear your comments below.